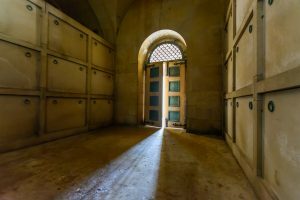 Hope Springs Eternal is the exciting project bringing the work and life of Thomas Hope back into focus in Dorking. 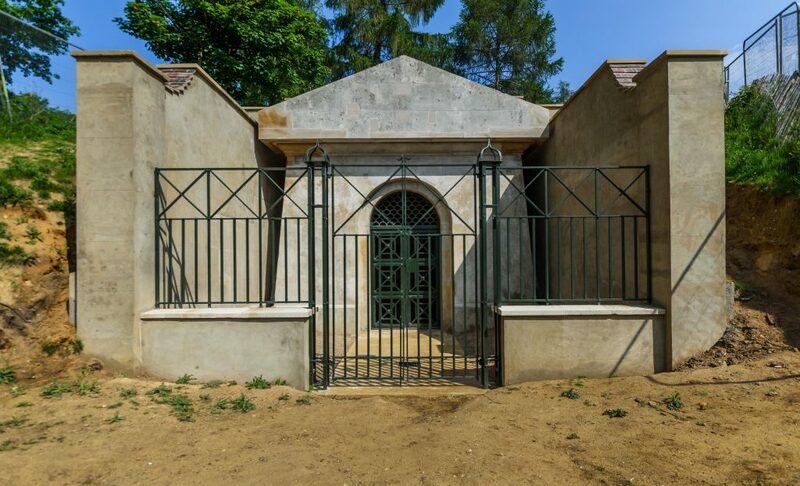 It builds on the work carried out by the volunteers who have been literally uncovering what remains of his estate around Deepdene and restore his mausoleum. Hope was a key figure in the Greek revival in the decorative arts in the early nineteenth century and remains world famous. Although his mansion is sadly no longer in existence, the project reveals the terraces, walks and other parts of the gardens which surrounded the house. The Museum is pleased to be working in partnership with the Council to support this significant heritage project. The project will run for two years and engage the local community in various activities and resources. 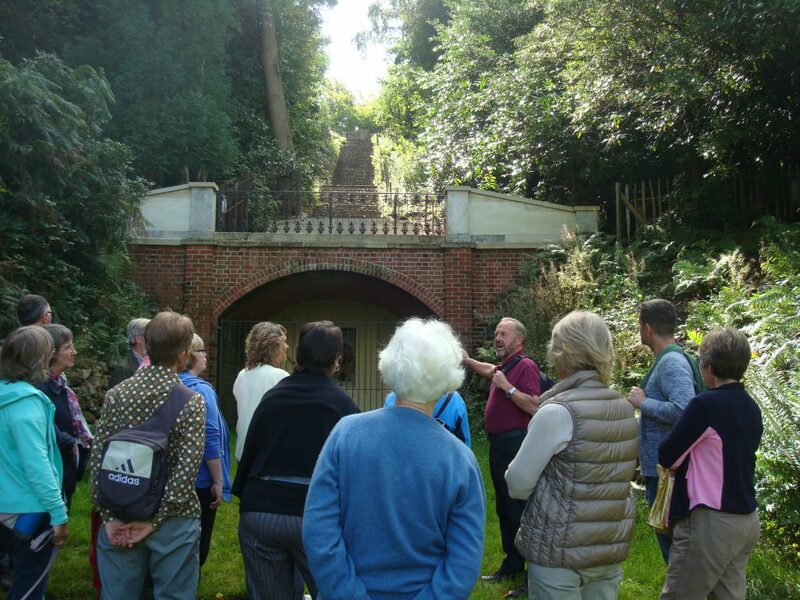 We are offer guided walks around the Deepdene Trail during the year. Tickets are £4.00 (under 12’s free) and can be booked below. Well behaved dogs on leads are very welcome on these walks. Hot drinks and snacks are available from Dorking Golf Club at the end of the walk. For details of where to meet and other FAQ’s click here. 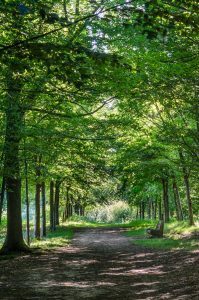 We also organise group walks, please fill in the booking form here, and a member of the walks team will be in touch. 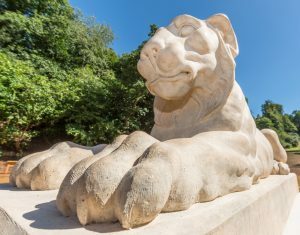 We are able to adapt the Deepdene Walk for visitors in wheelchairs or children in pushchairs. Please contact us directly on admin@dorkingmuseum.org.uk to arrange a visit. You can, of course, walk the trail on your own. To keep up with news from the Trail, follow them on Facebook or visit their website. 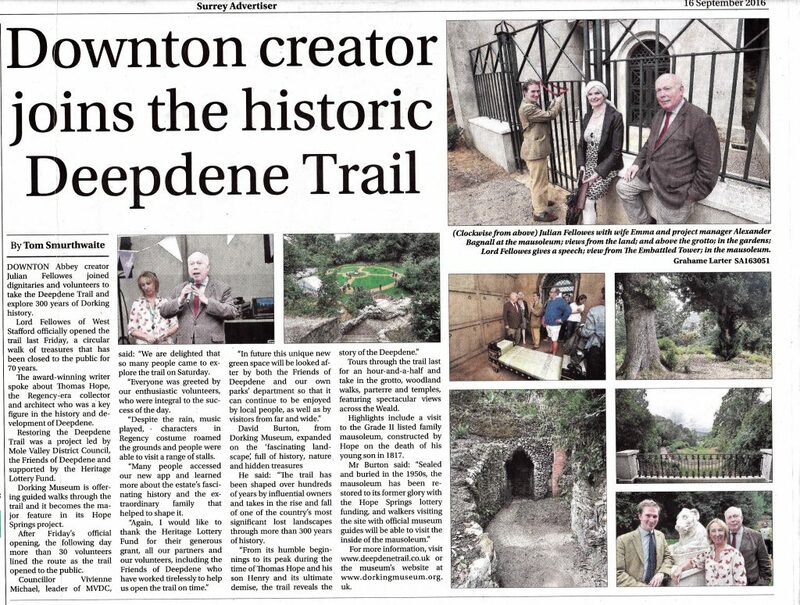 Full details on the project and a detailed history of the Deepdene can be found here.